Today's delivery is brought to you by Acid Pauli (Martin Gretschmann). This eclectic producer has a career that spans acros many realms. He is probably most known as the lead programmer for the German indie-rock group Notwist and also known for his other electronic side project Console. He has been making music since the mid '90s and doesn't seem like he's stopping any time soon. 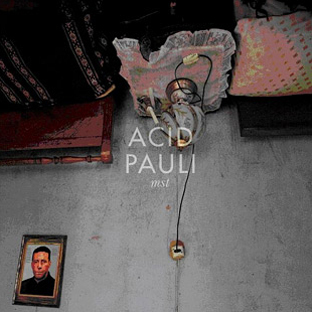 His new alter ego, Acid Pauli, is a persona that probably spawned out of his necessity to always evolve and straddle the line of experimentation and self identity. 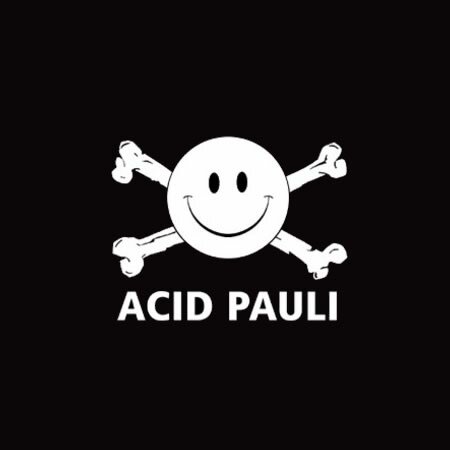 His nickname and logo resembles the Hamburg/Germany based soccer club St. Pauli and the AcidHouseSmiley. The track I'm bringing to you today is fairly short and called "Mutron Melody". The beat is highly irregular and keeps shifting yet the piano arrangement remain the constant soothing element. But, as the beat builds, there's a new element that arises that really gives the track new dimension and substance. Its not wonder that Acid Pauli is signed to Nicolas Jaar's label, clown and sunset, as Nico also takes similar approaches in the build and deconstruction of tracks, using various natural sounds. This track can only be enjoyed in headphones or in a setting that allows you to be completely surrounded in sound. Check out the track and chill….